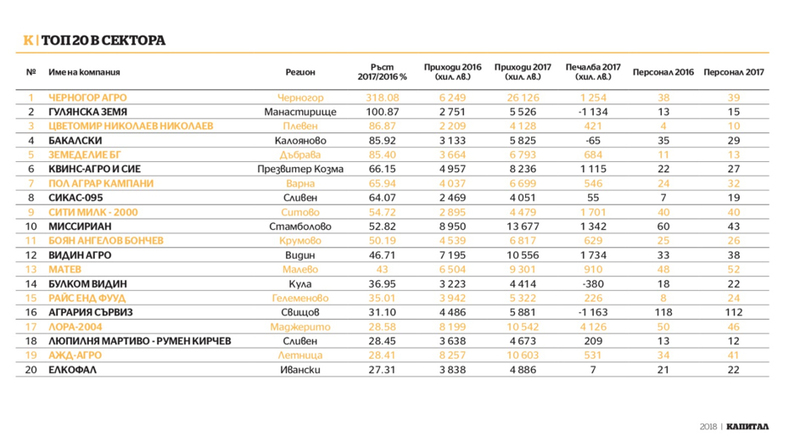 We’re proud to announce that AJD Agro Ltd. has been selected by the prestigious economic media CAPITAL and its annual GEPARD edition in the TOP 20 for the most dynamic SME in the Agricultural sector in Bulgaria. Our company is also voted in the TOP 10 of the most prosperous and dynamic SME in the region of Lovech. We love what we do! We love agriculture!